Uncle Henry’s Pretzels are made in the heart of Mohnton, Pennsylvania. Since 1983 the brand is a proud resident of the Keystone state, which produces more than 80% of the nation’s pretzels. Their hand-rolled pretzels are second to none, which is why fans flock to this local bakery. The fact that they are handmade, hand twisted and baked in a stone hearth oven and with along the delicious heritage that goes into every wonderful bite is what makes their pretzels unique. From extra dark to extra salty these famous baked sourdough pretzels give, food lovers a twisty, tasty fix of their favorites with every order bought from Uncle Henry’s. From whole wheat baked pretzels to pretzel gift boxes and tins filled to the brim with the sweet, savory, and sensational, chocolate coated pieces, even the most discerning snack levels will find something to treat their taste buds. Do you favor something a little different with your pretzels? 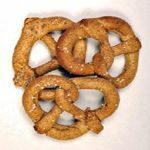 Sesame seed whole wheat pretzels deliver a flavor combination so satisfying, you’ll probably want to pick up two bags! Uncle Henry’s Pretzels are such a hit that loyal fans return to Mohnton for their must-have HAND MADE pretzels, year after year. For an incredible, heritage-rich flavor and a premium pretzel, look no further than Uncle Henry’s Pretzels. For more information, contact Uncle Henry’s Pretzels today.